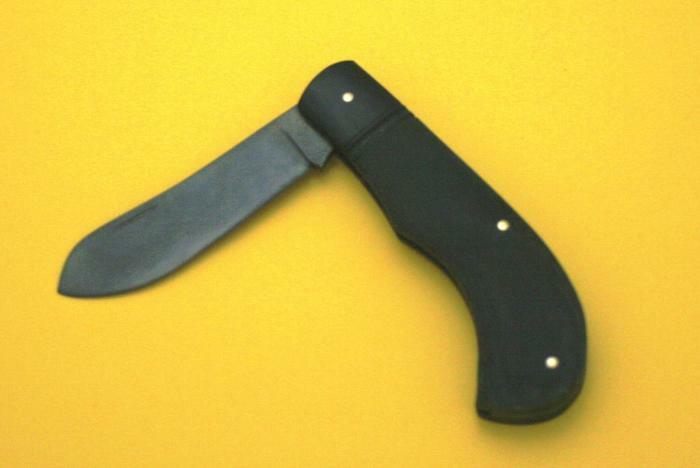 This is the large size folding Selva Hunter in field grade. I works really well in the field. I will take mine back hog and deer hunting this fall. I put a slight etch on the blade and spring to help resist rust and to give a non-glare finish. This knife in field grade weighs only 2 ounces but what a folder! This particular knife is the first of this model.